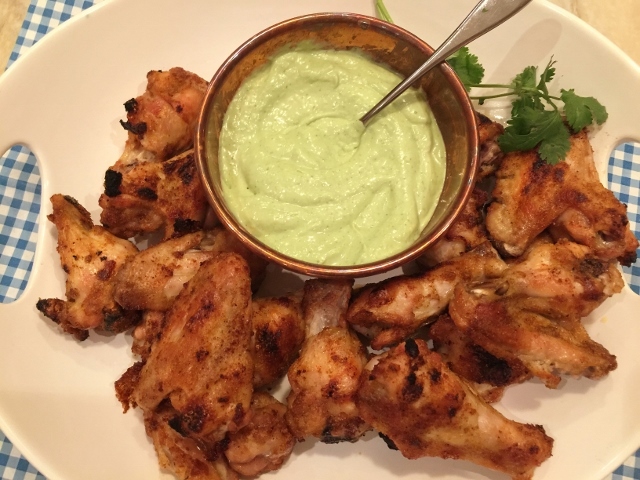 Crispy Baked Wings with Avocado Crema - Recipe! - Live. Love. Laugh. Food. I think the country has football on the brain this week with the Superbowl on Sunday. No matter what team you are rooting for, or if you are just watching for the commercials, it wouldn’t be a true football game without chicken wings. 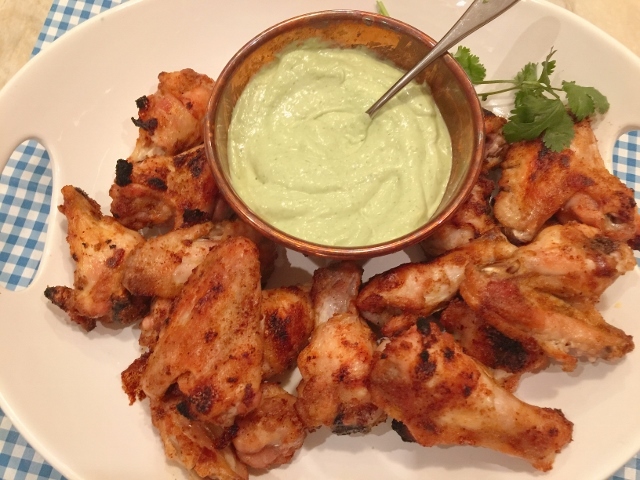 Wings are usually fried and then tossed in a butter hot sauce combination to create Buffalo Wings, but I thought let’s lighten it up a bit without losing any flavor and bake our Wings extra-crispy and serve with a creamy Avocado Crema for dipping. The trick to making flavorful crispy wings is to toss them in an dry herb and butter combination beforehand, and then roast them in a very hot oven. 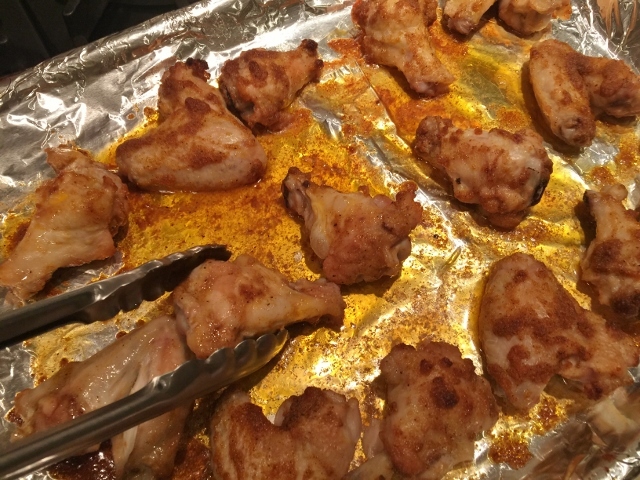 Finishing the wings under the broiler is another great tip for extra crunch. The smooth Avocado Crema is a quick & tangy puree made in the blender, that pairs nicely with the herbs in the chicken. 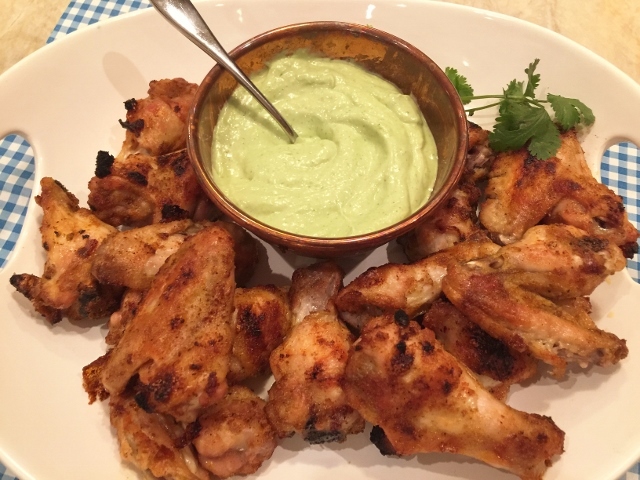 These are fantastic wings for football Sunday, but also make a great appetizer for parties or to enjoy room temperature at the beach or for picnics. 1. Preheat the oven to 450 degrees. Cover a sheet pan with aluminum foil, set aside. 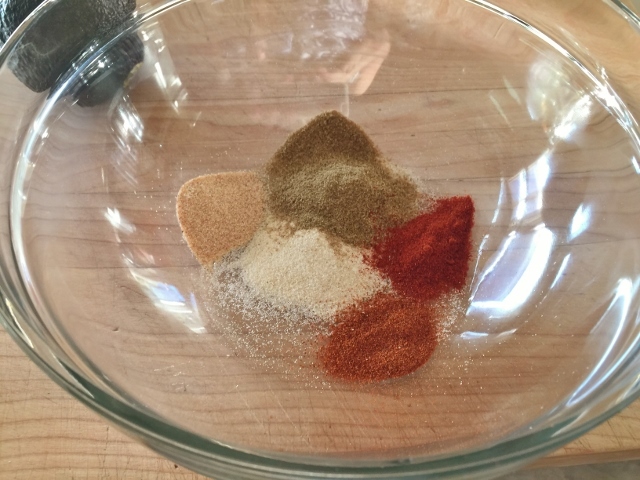 In a large bowl, add the onion powder, cumin, cayenne, paprika, salt and pepper, stir to combine. Add in the butter and chicken, toss to coat. 2. 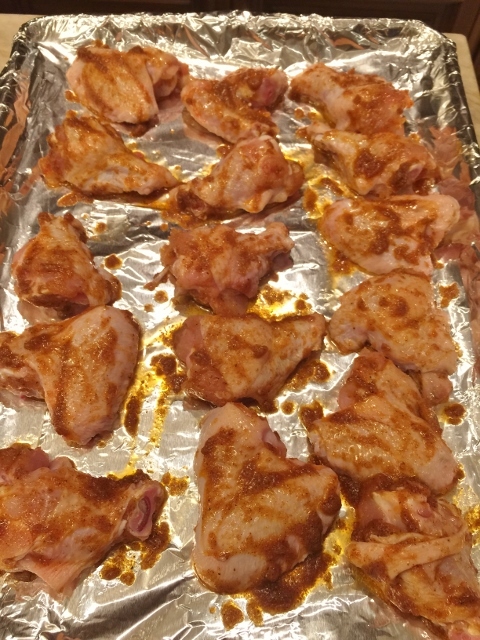 Lay the chicken wings on the sheet pan and roast in the oven for 20 minutes. Flip the wings over and roast on the over side for 15 minutes. 3. 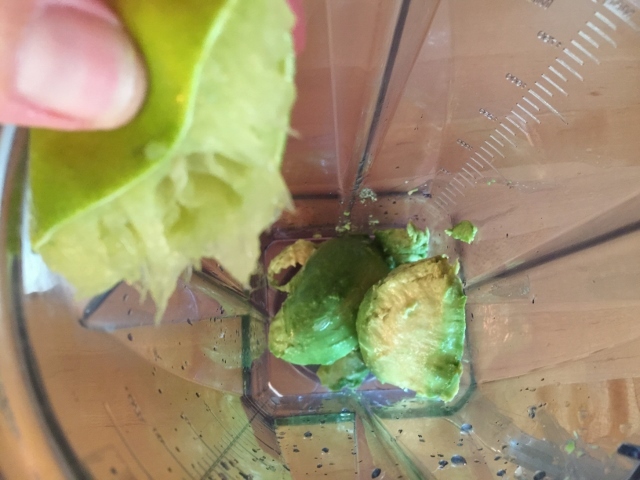 While the chicken is cooking, add the avocado and the juice of 1 lime to a blender. Then, add the cilantro, jalapeno, 1/2 teaspoon salt and sour cream. 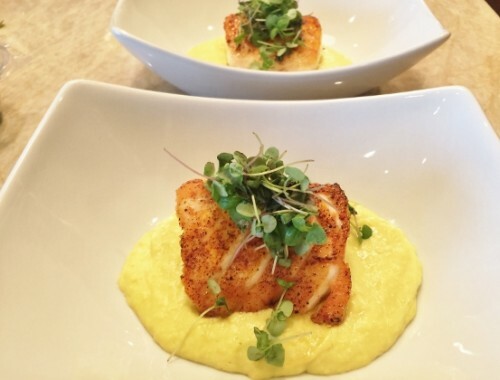 Pour in 1/4 cup water and puree until smooth. 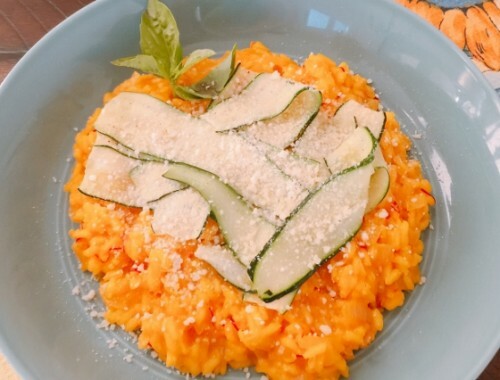 You can add more water if the mixture is too thick to puree, be cautious not to make too thin. 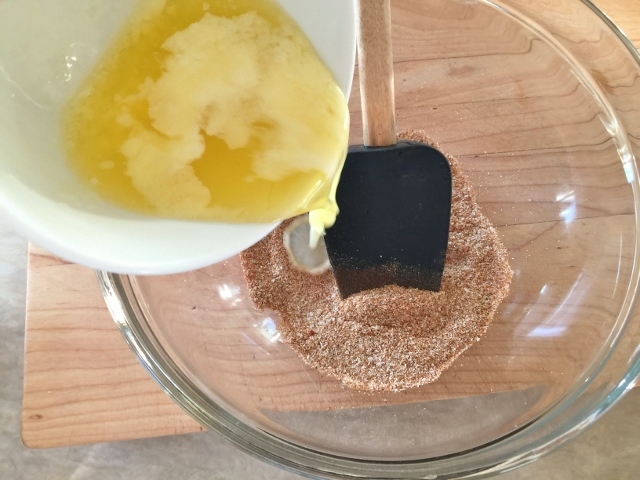 Spoon into a small bowl. 4. 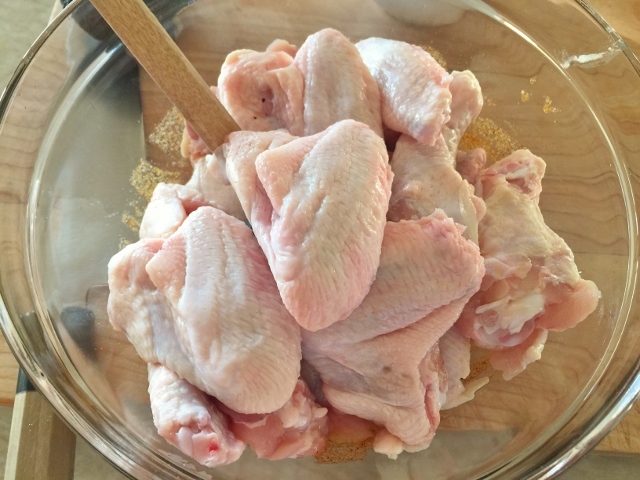 Flip the chicken wings back to the original side and place under the broiler for 2 minutes, or until golden brown. 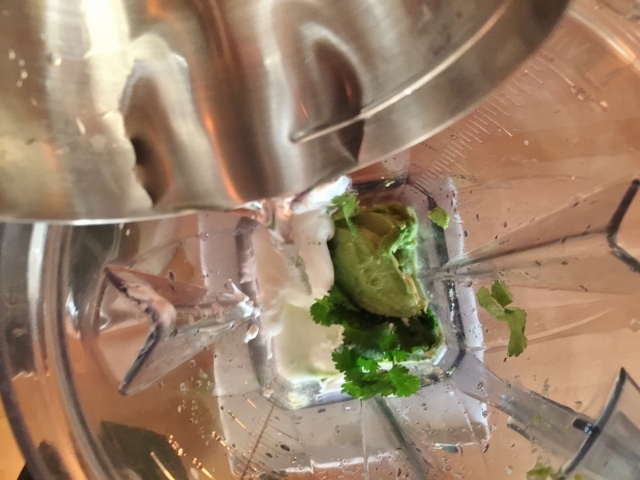 Remove and serve with the Avocado Crema. Enjoy! 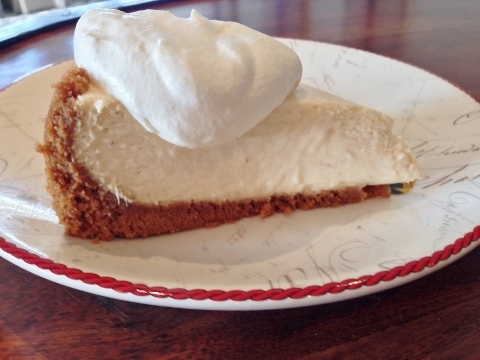 Eggnog Cheesecake with Rum Whipped Cream – Recipe!